Steve Myatt has over 30 years experience at Senior level as professional retailer, Event Manager, product sourcing, import and export, and roles in corporate governance. Steve has spent the last 9 years working as a consultant to UK and International manufacturing and retail businesses. UK Mentor for the Making it Happen Business Development programme for Retail Businesses. I am currently a Registered and Approved Growth Coach for GrowthAccelerator. Managing Director of Kiwiosity Products - distributors of eco positive hand cleaning and personal care products, Garden Centre display products and other innovative and useful ranges. Point to Ponder: Ask yourself if you are inspiring your customers - or your team to inspire them? We all work and respond better when we are inspired. Keen to investigate new opportunities and challenges. We work with the New Zealand based Garden Retail Success teams in New Zealand, Australia, Ireland and myself in the UK. The team has many years experience in retail and business giving an International best practice view of Retail and business performance management. Our range of Garden centre display products is similarly of International acclaim, being used in Garden Centres in the USA Dubai UK New Zealand and Australia. Our team at Zeosoft NZ has years of experience in business and product development, who along with specialists in the UK are producing eco positive, high performance hand cleaners and personal care products. Using or knowledge and expertise. We wish to continue to develop business growth for our clients, in particular in the small to medium sized businesses where constructive and practical help is frequently hard to find. To give businesses the tools to develop and grow, and to provide others with high quality retail solutions, and unique high performance environmentally sound personal care products. Steve has many years experience in retail, National Chairman Garden Centre Association, stadium event management, business growth, TV marketing, corporate governance and business mentoring and development. Steve is currently on the Board of Directors for the Liverpool and Sefton Chambers of Commerce. I am currently working with a variety of businesses, and comparing best practice from International clients help develop your business profitably. Working in groups also makes a clear difference, with much more measureable and comparitive data to work with - this can be a real tool for growth in a any business sector - if you let it happen. Consultant to Petquip, Commercial Horticulture Association and Gardenex. In addition to working with start ups we work with many business across a number of sectors working on growth and development, including manufacturing, and also have a speciality in the Retail Sector. Additionally, we are delighted to be working in partnership with Garden Retail Success, More Performance and the Horticultural Trades Association to deliver the Making It Happen Programme to Garden Centres and Nurseries throughout the UK. This is an Internationally proven programme that has positively improved 90% of clients. We are now signing up new businesses for the programme that is designed specificaly for your business needs and development. 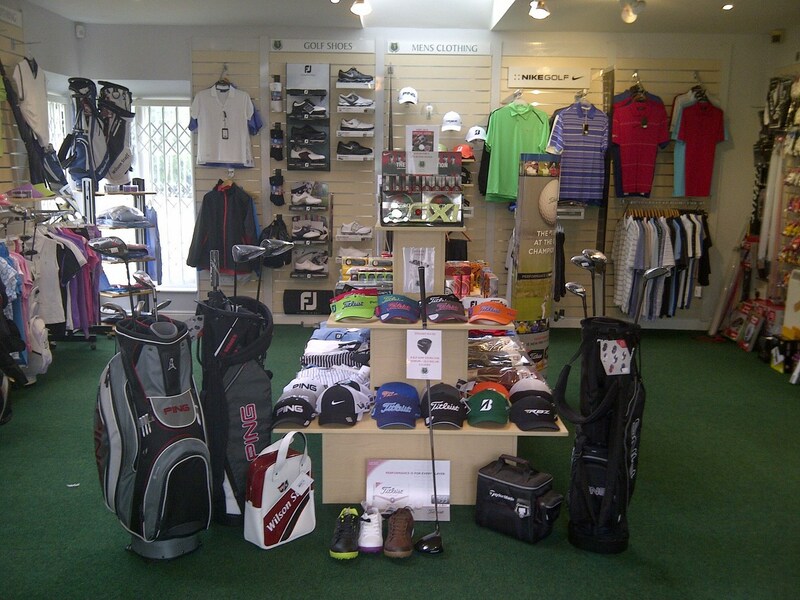 Steve has been of major assistance and guidance in developing my Golf Pro Shop from an outdated shop into an up to date, well merchandised retail store. The initial review covered all aspects of the business including merchandising, signage and business performance. The retail principles from Steve and the Retail Success programme have enabled me to double turnover and be more profitable than ever, also enabling me to me more in control of all aspects of the business. I will continue to work with Steve and Retail Success as the business develops. Last year, we decided to create a Business Group of Garden Centres within our area. 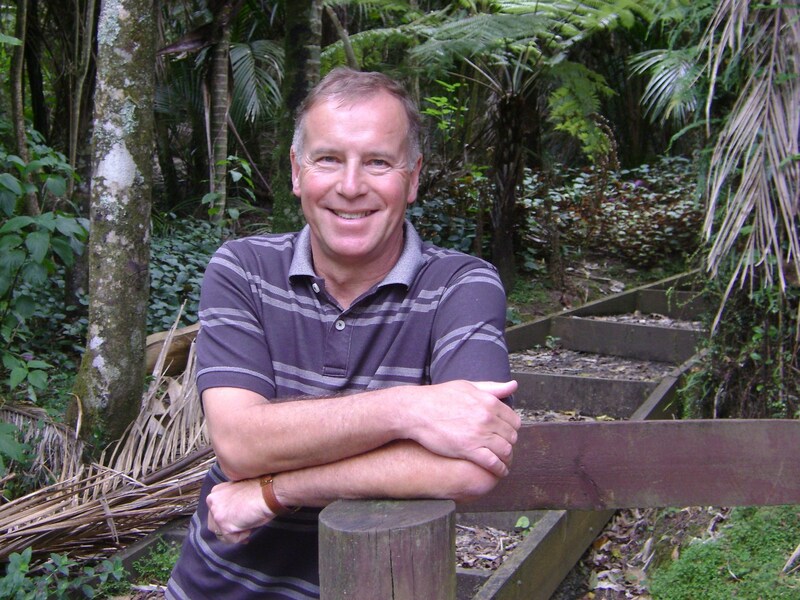 We searched for a suitable Chairman/Mentor to lead our meetings and chose Steve Myatt of Garden Retail Success. With Steve at the helm, our meetings have been themed on subjects relevant to us such as Employment Law, Garden Centre Security, Marketing, Social Media, Merchandising and EPOS systems. Steve has proved to be a very capable leader of our group; wise of counsel, knowledgeable on many subjects and with considerable networking skills. He has been of great help to our group by focussing on key areas, bringing in excellent speakers and encouraging business growth. The group has benefited from the synergy created between ourselves and Steve. We would recommend Steve highly for his steering of our group, his sound advice and his pursuit of excellence for our businesses. Ann-Louise Hartley - Hartleys Nurseries. 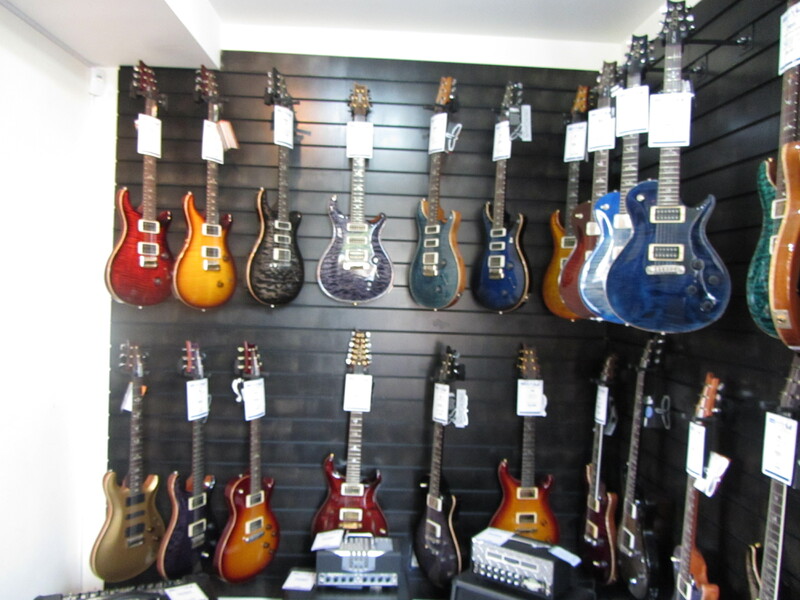 "Steve has been helping us transform our "building full of guitars" into a modern retail shopping environment. He started with an in depth review of where we were and we used that as a baseline for improvement. He looked at every aspect of the store, from internal and external signage, to customer journeys and key accounting ratios. The output of the review gave us a clear path with regular milestones and an end game. I have found that although his primary experience is from another retail sector it is very transferrable and relevant. It has been a pleasure to work with Steve and Retail Success, and we will continue to do so as our store grows." From my first meeting with Steve I could tell he knew his stuff. Steve was able to offer direction and suggestions that helped guide my new business while giving me focus on the areas that would yield the best returns. I would suggest anyone in a new business should make time to meet Steve. Julian Campbell Director Funky Nut Company Birkenhead. As a start up business it is crucial to cost your product or service accurately to ensure future business success. Consultancy with Steve covered these areas and proved invaluable and we have continued working with Steve as our business has evolved. Hayley Kerry- The Organic Juicery Liverpool. Just wanted to give you another update regarding the remarkable pep talk you gave me. So its been a 100% success rate and I’ve received sales, and additional introductions to other potential customers, as well as constructive feedback which has sparked off ideas for other products. James Coles commented “We entered into the “Making It Happen” programme, because we believed it would create the direction that we needed to ensure the success of our Retail area. In the first year the staff have bought into the principles. We have made changes to our outdoor Sales area, allowing us to focus on stock levels aiming at greater turn around, less waste and therefore greater profit. The garden centre is a brighter more inviting area for our customers and we believe that we will get more footfall and re-visits through the door. Zeosoft Products now produce a range of hand cleaning products for the family - Magic Mud, and a range of high quality personal care products. transforming the clays into soft rock minerals called Soft Zeolites. Fault lines then formed, draining the lakes and exposing the Soft Zeolite deposits. 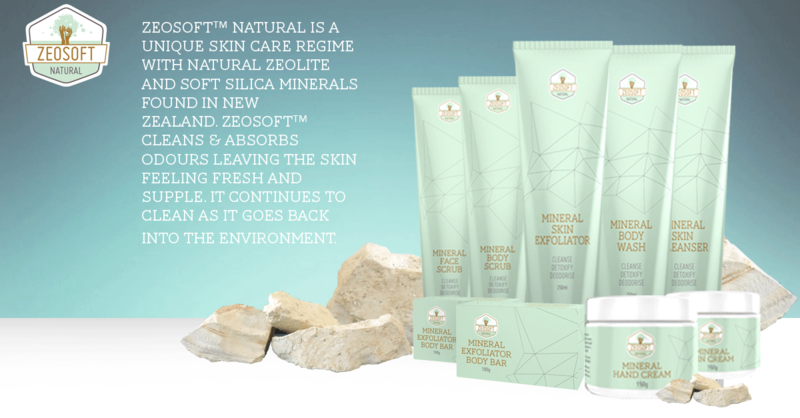 This Soft Zeolite is mined and processed to create ZEOSOFT Active Mineral Cleansers﻿. the naturally formed mineral Soft Zeolite, which has extremely good cleansing qualities. A: Reg Office: 77 Corporation Street, St Helens, Merseyside WA10 1SX. EORI: GB980249601000 Co. No: 7007793.